How Do Diamond Loans Work? As with all of the short-term pawn loans offered by Casino Pawn and Gold, our Diamond Loans process is just as easy and quick in our pawn located in Casa Grande. Bring in your diamond, diamonds, sapphires, rubies or other gem stones for our staff to examine. Within minutes you will have a cash offer and be ready to walk out with cash in hand. All diamond loans are 90-day short term or pawn loans providing you with the option and flexibility to pay the principal plus interest to get your diamond back or just pay the interest and renew your loan for another 90-days. If for whatever reason you find that you cannot pay back the diamond loan in full at its maturity, you have the option of allowing us to keep the diamond as full payment. The quickest way is just to bring down your diamond jewelry to our shop. The one important factor that many people miss when they're looking for a diamond loan is that it's not just the diamond that gives your jewelry value, it's typically the precious metals that the stone is set in as well. Typically this gold or silver can even be more valuable than the diamond itself. Feel free to come on by for a free estimate any day of the week and we'll be here. Why take out a loan on your diamonds? Diamond prices have been steady for quite some time so their value and continue. 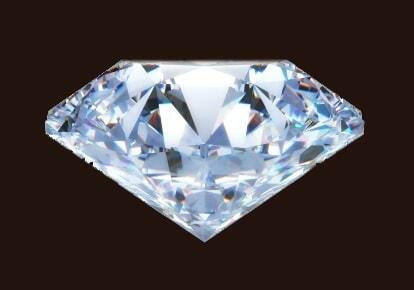 Diamonds are a safe and stable investment which translates to their ability to get you cash. Let's say that you have a diamond ring, and heirloom perhaps, passed down from another generation and you don’t want to sell it but you need cash. Come in to Casino Pawn and Gold so that one of our expertly trained staff can evaluate and provide you with the cash that you need with our diamond loans. There is no credit check since all of our diamond loans are collateral loans based on the value of your gems! We offer the best prices out of Casa Grande, Arizona City, Maricopa, and Eloy. What type of diamonds will we loan on? We loan on all types of diamonds such as: diamond necklaces, diamond earrings, diamond rings, diamond watches, diamond tennis bracelets, diamond pendants, and loose diamonds. Basically, we will loan on any type of diamond without regard for cut, clarity, karat, or color. Diamonds have always been of value, and we are here to help you get the money you deserve. Casino Pawn And Gold and its affiliated companies has been in business for over 30 years loaning money on all types of diamonds, and now we are available to the residents of Casa Grande, Eloy, Coolidge, Maricopa, & Arizona City. We invest in diamonds, we believe in diamonds, and we loan the most on diamonds because we understand that diamonds have a lot of value. But we also understand that other gemstones such as rubies, opals, jade and many more have value as well. We have the experience, knowledge, and cash to give you the most cash for all of your diamonds and other gems with our diamond loans in Casa Grande.